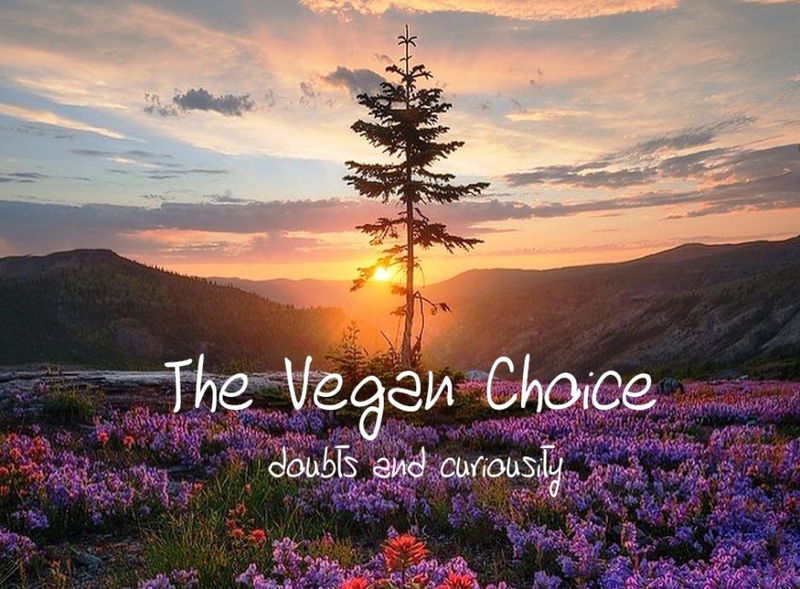 The vegan choice: doubts and curiosity. A mini guide against false beliefs! What does generally think an omnivore when he hears the word “vegan” for the first time? “Oh my God, this is an alien!” … or … “Wow, I’m curious, I want to know more”! Whenever I talked to someone about the vegan choice, about the health benefits that this choice entails, and of course also excellent and tasty recipes, I studied the look of my interlocutor. What seemed evident in some was curiosity, combined with the amazement of those who probably had been searching for this knowledge for a long time. At other times, instead, those who listened turned out to be perplexed and bewildered. But I have to say that the people who want to ask questions and want to know more about it are the majority. Usually the best conversations are born with this majority. Sometimes, with some of these people I have also formed a good friendship that fortunately still lasts today despite the fact that many years have passed. Do I become vegan? Not in my life … I want to enjoy life and I want to do it carefree! Vegan? No thanks. When I eat I would like to taste the food, not to eat something that has no taste … with all respect, I want something tasty! I would like … but in doing so, every time I leave my house to eat outside, I can’t eat anything … Vegan proposals in restaurants do not exist! Um, I’d do it too … but what will my friends think? And my parents? I’m afraid they wouldn’t approve. Indeed my mother already did not know what to cook when my brother became vegetarian, let alone if I become vegan. If I became vegan, I wouldn’t even know how to dress. Every piece of clothing, shoes, jacket probably contains some animal derivative. It is impossible to dress without using animal products, I’m sorry but I can’t. Being vegan means being radical and extremist. I honestly consider myself a moderate person and consider every extreme choice wrong. No thanks, I prefer to remain omnivorous. What are you saying? We need to feed ourselves in the right way. For example, where do you get the noble proteins from? And the iron? Calcium for bones? The omega 3s? The B12? Come on, only fools and those who know nothing about nutrition become vegan. God said that we can eat everything, it is written on the Bible. He placed every animal on this earth for man, so that he could draw nourishment from eating them and continue his evolution. You say that becoming vegan would help the planet… But what about pollution caused by transport and industries? You believe that eating meat, fish, eggs and dairy products hurts. But do you know how many chemical poisons have been used to protect the plants you eat? Do you know how many pesticides they spray on fruit and vegetables? Don’t believe that eating vegan is the best solution to feel good, even the air you breathe is polluted. You vegans are just hypocrites. You say that you make this choice so as not to cause suffering to the animals, but for example what can you tell me about the suffering you cause in eating a salad? Up and down, I believe I have summarized the main reactions arising from doubts, from worries about doing the wrong thing and finally from the prejudices that many people have. Then I would like to try to resolve some doubts and more specifically I would like to try to debunk some extra myths. 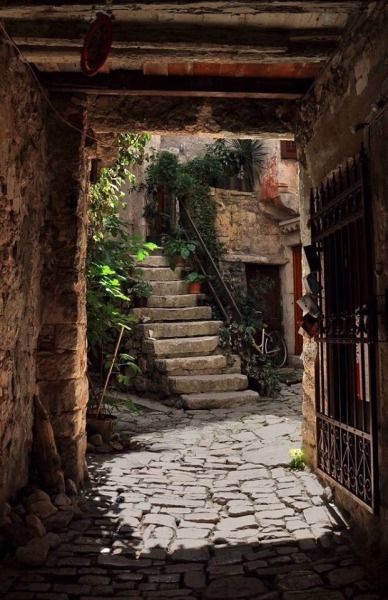 First of all I would like to start from a consideration, necessary to remove that enormous castle of false preconceptions based on wrong considerations and devoid of relevance to reality. Becoming vegan does not mean carrying a cross on one’s shoulders, it does not mean sacrificing one’s life for one’s country, it does not mean giving up having fun or sacrificing one’s happiness for the well-being of someone else. It does not mean being tortured, torturing oneself with too drastic and limiting choices. And it absolutely does not mean giving up enjoying life. On the contrary, those who come to know the world behind the ethical, environmental and vegan healthy choice can only rejoice in having had the opportunity to open their eyes and look at reality without veils. For he or she will also open a new world of perceptions and flavors, a world that will bring a new wave of enthusiasm towards the discovery of new combinations of healthy foods … foods that do not bring any suffering to other living beings. Since for each of the 11 points mentioned above it would be necessary to have an adequate in-depth analysis, in this article I will limit myself to giving explanations (sufficient but not consistent) to resolve some prejudices and make sure that every omnivore that stands in contrast with the vegan choice can change its mind . It is true that when you know the ethics of vegan choice, much more attention is paid to purchases made at the supermarket, in clothing stores and so on. But it is equally true that, after getting used to the new lifestyle (every change involves a period of stabilisation), we live with a new awareness that makes us happier (just think about how many lives we are helping to save day by day). While before we used to get into a supermarket and buy all kinds of snacks, sliced and dairy products that stimulate our desire, today we enter a supermarket anyway, but we mainly focus on the fruit and vegetable department. This also applies to those who do not like fruit and vegetables, yes. For over time you will begin to deeply desire these wonderful fruits of mother nature. Since I was only a child, until my adolescence, I didn’t eat much fruit. Instead I loved milk with coffee, biscuits and croissants. Today, though rarely, I still eat biscuits and sometimes I even dip them in a good cup of vegetable drink. However the cookies I use are vegan, organic and made with wholemeal spelt and kamut flour. Sometimes I produce them myself at home, using water or whole and organic oat, spelled or rice drinks, instead of cow’s milk. Fortunately, today it is not necessary to go to an organic shop to find these products, since even the supermarkets have adapted to market demands (tending to vegetarianism). 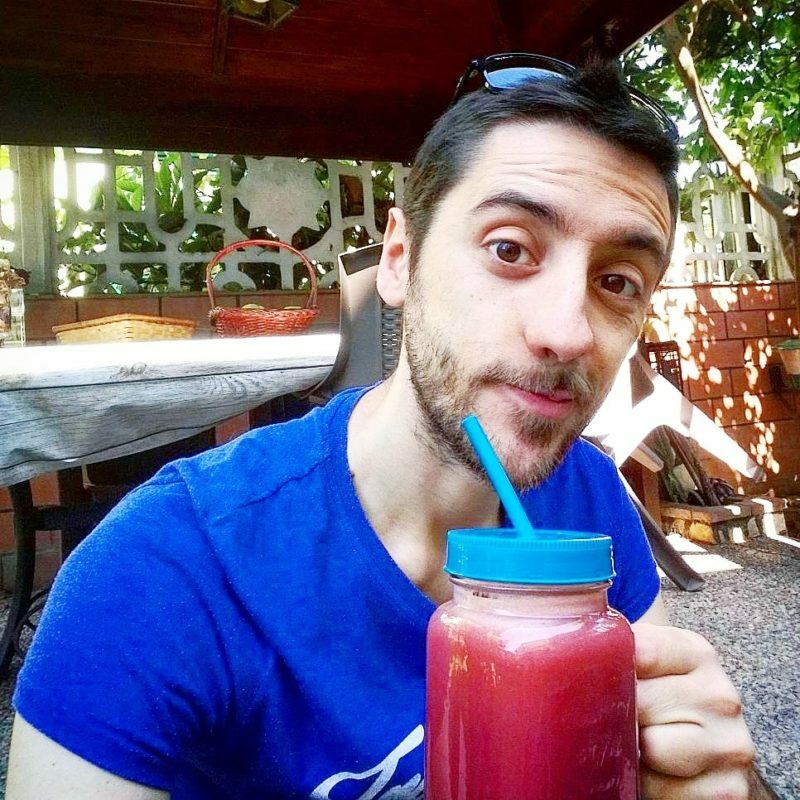 Today, however, years after the vegan choice, what I really prefer are fruit and vegetable juices, shakes or even abundant seasonal fruit meals. Whether you accept it or not, there are excellent desserts, pasta dishes, appetizers, main courses and side dishes among the vegetarian / vegan dishes that are delighting the palates of thousands of people. On this site (in the Blog -> Recipes section) you can find many simple proposals to try. One of the advantages of the seasonal raw food vegan diet is that meals, not only satisfy the daily needs of the human body (in terms of fats, proteins, vitamins, etc. ), but they are also lighter and therefore do not involve all those problems concerning the digestive system. Clear that, even in this case, it is advisable to respect the satiety criteria of one’s own body. Any excess is counterproductive. When you go out, whether you go to a pizzeria, a restaurant or a pub, you will always be able to choose a vegan proposal, even if there is not even one on the menu. Know that to choose something vegan, it would be enough for you to tell the waiter “I would like a sandwich with baked potatoes, aubergines in oil and mushrooms, thanks”. The same applies to pizza and pasta dishes, also varying the ingredients according to your preferences. In short, you can invent the type of sandwich and the type of pizza. You have a wide selection of vegetables at your disposal. There are also more avant-garde pubs and restaurants that are more provided. There you can also ask for typical vegan food products: soy burger, vegan frankfurters, cheeses and spreadable creams such as hummus, tahini, velvety veal with no animal derivatives, etc. Moreover in recent years we are witnessing the birth of numerous vegan restaurants throughout Europe, including Italy. In cities like Milan, Rome, Florence, Verona, Bologna, Bari, Naples and Turin in the first place, many completely vegan and gluten-free restaurants are springing up, as well as vegetarian-vegan pizzerias with intriguing proposals full of new flavors. Just search and inquire. More than what your friends think, what really matters is what you think of yourself. And even more important is your psycho-physical well-being, which is dictated to a large extent also by healthy food choices that respect the environment and all existing life forms. Don’t let yourself be deviated from external considerations, also because most of these are based on wrong habits and misleading prejudices. Don’t be afraid to test a new lifestyle, take note of the changes it will have on you. With this I do not say obviously not to listen to anyone, but simply reasons … and do it with your head. Experiment and test yourself. Even your mother, if she is open to new horizons, will adapt over time and recognize the benefits. A good start can be giving her a book of natural food with vegetable recipes. Surely, if she is inclined to change, the book will intrigue her and then she will know what to cook for you and for your brother. It is true that by making this choice, we must try to be as coherent as possible. It’s not good if someone says “I don’t eat meat because I’m vegan” but at the same time he wears leather shoes, a leather jacket or a mink coat. However, it is equally true that sometimes it is wiser to allow yourself the right time so that changes can be realized, in order to avoid a clear return to old habits. A person who for 40 years has always believed and lived a lifestyle completely in line with what the company proposed, can change his lifestyle only if he is faced with the naked and raw reality. If today we are still in the dark about news concerning the environment, ethics and health, it is because those in power wanted it to be like that! As a result the mass media have always advertised misleading news, news aimed at make us into slaves of a system that benefits only the richest and the people who hold power (almost always coincide). In other words, if we really believe that the cow is free to roam the meadows of the valley and is happy to give us her milk, let’s think again … if today the number of diseases is constantly growing, we must thank the food and drugs multinationals (in league with each another). Regarding clothing, know that there are many companies that work with products that do not contain animal derivatives. Today there are even completely cruelty-free shoe and clothing stores. Many of these also have a website where you can buy them online. It is understandable that a person who has lived for years with certain habits, in facing a new lifestyle that is apparently more limiting, can consider him extremist. But it generally depends on points of view. Let me give you an example: a child who grew up in the most degraded neighborhoods of a city that has crime problems, is used to stealing, buying and selling drugs. If, however, he decides not to carry out these tasks anymore on behalf of his gangster master, if he should change country and live his life by going to a school or university where he respects his colleagues and teachers, where he can start a new life based on love instead of violence … even for him this new lifestyle would be, as you say, “radical and extremist”. From my point of view, sincerely eating knowing that my choice does not take away the life of another living being, a living being that is completely sentient, does not mean being radical but being sensitive, it means having opened your eyes and asking your conscience if eating the meat of a rabbit or a kid is right, it means having understood the suffering caused to another living being and deciding not to be the author of it anymore. Becoming vegan means having found again the sense of ethics, of the right, of respect and of love towards every living being. Know, my friend, that the human being has been widely recognized as a frugivore. In other words, its food par excellence is fruit. The only real fuel he needs is raw fruit and vegetables. This does not mean being radical, but rather understanding what the truth is and recognizing what is the right path to pursue. Know that the omnivores are those who show more deficiencies of iron and calcium. Like iron and calcium, even omega 3 and B12 are elements that are part of nature and therefore can be assimilated in the right way and in the right quantities with a vegan diet. The noble proteins instead (even if they are not at all “noble” because they belong to a carcass of an animal, dead so that we can satisfy ourselves), are among the main causes triggering innumerable diseases. Man needs proteins, certainly yes, but vegetable ones coming from nature itself. You believe you are supplied with these items by eating meat, fish or dairy products. But where do you think they get the protein for their livelihood? From nature naturally, from the grass that graze from the lawn. (On these topics it would be appropriate to dwell a little longer, so I plan to write one or more articles in the future about the substances that the human body really needs and where he can take them). In the meantime know that if we eat fruit, vegetables, legumes, roots, cereals and seeds in a varied and immoderate manner (I refer to seasonal products that have not undergone chemical treatments), we already have everything we need. Even here there would be a long speech to make. But for now I will focus on this. If you truly believe in God, you should also know what his main teaching is: Love. In this word he has enclosed everything, there is nothing else to say. And yet I don’t see any love into impregnate a cow artificially, in seizing her newborn baby (making it grow in a room with a light 24 on 24 so that he grows faster), and then stealing the milk for its calf to give it to humans. And I don’t see God in the current mechanical system of suctioning milk from the cow udders, causing infections and even tumors. And I still don’t see God killing always the same cow by sending her to the slaughter, because she can no longer serve in such conditions as a dairy cow. Where’s the love in all this? … tell me please! Believe me God has nothing to do with all this, the responsibility is ours alone. There is no doubt that pollution due to transport and industry is worsening the planet health. And it is right that we mobilize to face these problems. For example, most of the time I prefer to move on foot or by bicycle if I have to reach a little longer distance. I use aircraft, ships and cars very rarely. If I have to move from one city to another, my choice always falls on the train. Having said that, know that the first cause of air pollution is represented by intensive farming, which produces about 22% of the total emissions of methane gas on the entire planet. In other words, if you want to start helping the planet, focus precisely on what represents the greatest danger … and become vegan! I am well aware of the massive use of chemicals on fruits and vegetables, but do you really believe that by eating meat you are safe from these chemicals? 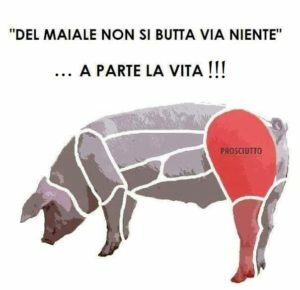 In your opinion those animals, whose parts (mistakenly called steak, locena, salami, etc.) arrive daily in your plate, what kind of vegetables have they eaten in life? Aren’t those vegetables also treated with those same chemicals? Well, by eating meat you not only eat part of a dead roadkill of a decaying animal treated with preservative agents (used to slow the decay of the dead body), but also the same pesticides that used on plants that will become food for the animals themselves. But this isn’t over! In meat and therefore in all their derivatives you will also find other chemical substances, including antibiotics, hormones, anti-inflammatories that are usually given to animals on intensive farms. Clearly, the only real interest of these industries is not the protection of animals, but the fact that they continue to work in order to continue to generate their interests and their profits. 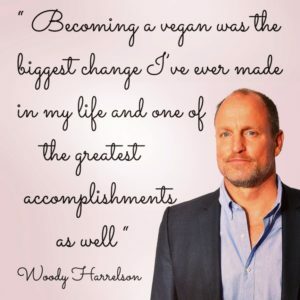 In other words, it is useless to look for excuses to continue eating meat .. Be honest and simply say “I’ll think about it and try to change over time”. You probably look even better. With regards to vegetables and fruit full of pesticides … I can tell you that growing fruit and vegetables in season in your own garden would be ideal. 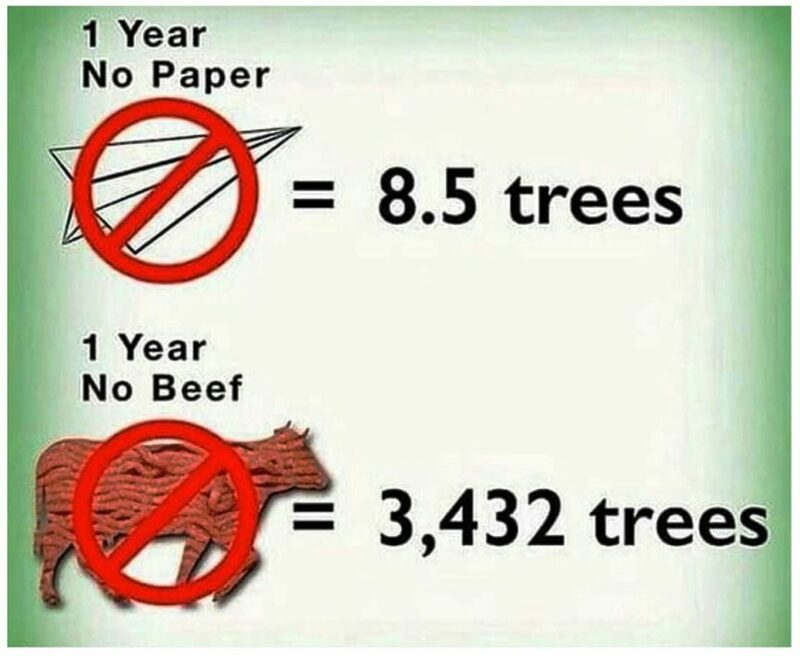 Owning a land and planting trees. In every season you could grow legumes, typical vegetables of that time of the year and you could keep the seeds for the following year. Where not possible, the best thing is to buy organic food. Based on simple considerations, when an animal is killed, its screams of fear and pain can be found (unfortunately most of the time they are not anesthetized, so they live perfectly free every free violence admitted in these horror industries) . 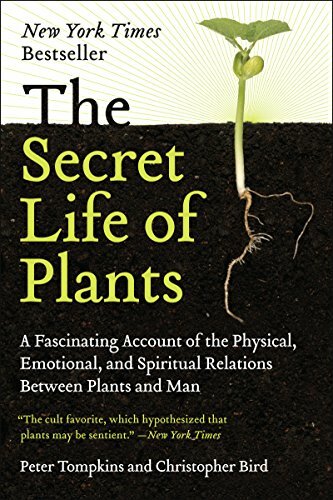 Plants, on the other hand, do not shout, but communicate in another way, a more subtle form of communication. Suppose we partially cut the trunk of a tree or the throne of a plant: after a while we can notice a liquid substance that comes out of the cut and that tends to heal the trunk itself. Well that is a suffering caused to the plant, it is true. But if we detach its outer leaves from a plant (basically the more mature ones), we do not see any liquid and the plant does not suffer in this case. In reality plants have their own soul and become attached to us much more than we can become attached to them. They reinvigorate us with our affection, with our attentions and on the contrary perish if we abandon them. Previous Post Vegan crepes: a delicious recipe for everyone! Holistic therapist specialized in Health Sciences and Natural Hygiene. Pranotherapy & Reiki operator. Natural-Blogger. Doctor in Science and Technology of Maritime and Air Navigation. Free Spirit, lover of the sea, of the mountains, of animals, of sailing, of free swimming, of reading... especially of fantasy books, of writing, of photography and of walks in the mountains and in the woods. Feed your body with live and healthy food, let yourself go and experience the beautiful emotions, to positive thinking and … breathe, walk in open air, smile and sleep, leaving your body all the time it needs to restore its energy. Carefree, joy, passion, love … make your life based on these values!